While spies played a vital role in the Cold War era, another significant role was played by their accomplices, the devices that had their back in the dangerous missions they were up to. Yes, I’m referring to the cool Cold War spy gadgets used by genuine intelligence agents back when the Cold War persisted. 1. The Cold War spies were constantly at risk and always up to something. It was essential to let the control rooms know of their whereabouts. This required them to carry transmitters which they could use to send signals. 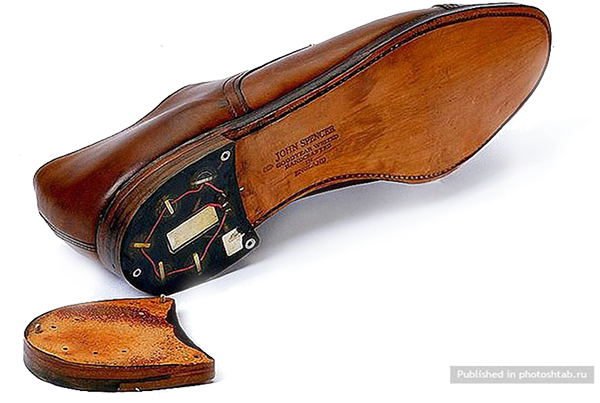 These transmitters were attached to the shoe’s sole, making it nearly impossible to be discovered. 2. The work of the spies was intensely crucial, almost impossible for ordinary people, like you and me, to understand. The spies were to keep their cover, living or dead. They had to perform some inexplicable tasks but one thing which they couldn’t do was betray their nations. 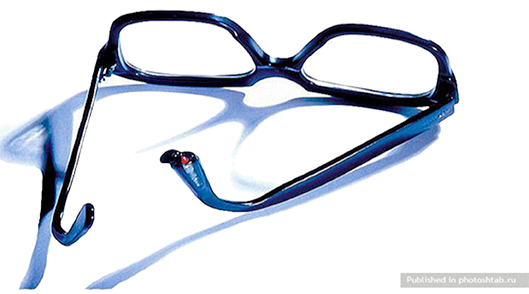 These spectacles with poison tablet in the frame were created during the Cold War era. Yes, when caught by enemies, the spies preferred dying over opening their mouths. 3. Woman spies are no surprise. There were numerous of them, most of whom did a noteworthy job! The ladies required more handy and ladylike gadgets so that no suspicion arose among the enemies. 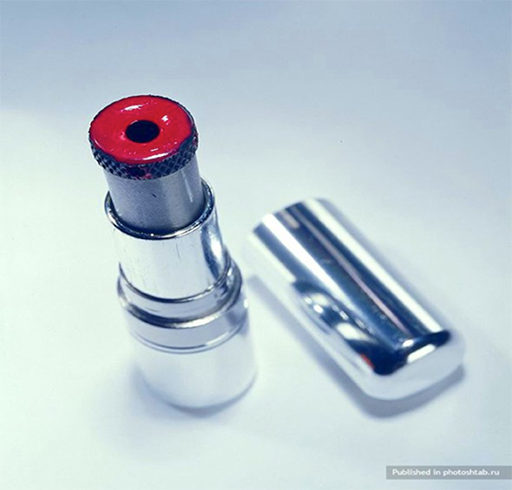 This lipstick with a gun is an example of the trendy and classy devices used by the notorious lady spies. 4. The watch that does more than just telling you the time. It takes pictures! Sometimes the spies needed evidence against the enemies or required information off a document owned by the opposition. That is when these watches came in. Using this they could capture images with anyone hardly noticing. 5. This device is quite commonly seen now-a-days. 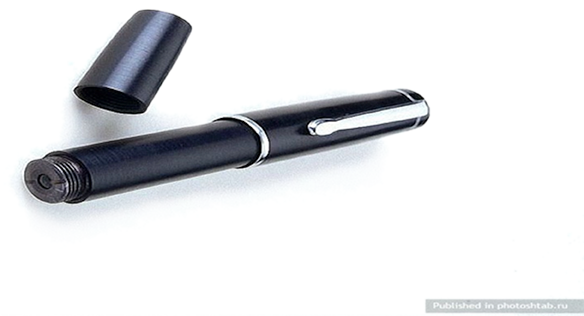 But during those times it was inconceivable for the average citizens to know of such a pen with a camera. The spies could use it for a number of reasons including taking a snap of a person who is likely to be a suspect or a threat to their mission. 6. Now this is literally a handy gun! A gun within a glove, now who would have thought of that? Surely the inventors back in those times did. It was necessary for the spies to get rid of any threat as quickly and quietly as possible. They couldn’t let anybody blow their covers, so in order to complete their objectives with convenience, such a gadget was vital. 7. They say water is the other name for life. This invention allows us to differ from that orthodox. This flask, ideally used to carry water or other drinkable liquids, is actually a bomb. The bomb was well covered, hard to be imagined and a perfect disguise! I mean whose first guess would be that there’s a bomb within this flask! 8. More important than possessing the gadgets was to keep them as invisible to the naked eyes as possible. This one surely looks like an everyday pipe but there is way more to it. This is in fact a gun disguised as a pipe. No one will ever consider putting their mouth on this pipe! 9. It is likely to be missed even if you look closely. You won’t easily realize it until someone tells you that there is a camera in place of that button! It is interesting that such advanced technique could be used such a long time ago, possibly over 60 years ago. Surely, the Russian and American intelligence had done a charming job during the Cold War. 10. This is just another umbrella, but with it, comes the death certificate of several! The umbrella was made to shoot darts. Darts, which are small narrow pointed missiles, move very rapidly and lightly. Thus, making it highly convenient for the spies to make sure that their enemies get rained on. Enormous credit goes to the inventors and creators of the gadgets. It wasn’t a piece of cake back then and we are talking about decades ago here. The KGB and the CIA would have been lost without these ingenious inventions which undoubtedly had their back. I would say-hats off to the creators of such clever gadgets. Having said that, we certainly endorse peace, not war!